(Reuters) - The surge of popular unity that toppled Hosni Mubarak last week has eased tension between Egypt's Muslims and the Coptic Christian minority and raised hopes for lasting harmony. Alongside banners demanding Mubarak's resignation and an end to emergency rule, protesters held aloft posters of the Christian cross and Islamic crescent together against the red white and black of Egypt's flag. "Egypt has been victorious over what they called sectarian strife," respected Muslim preacher Sheikh Youssef al-Qaradawi told millions gathered in Cairo's Tahrir (Liberation) Square on Friday. 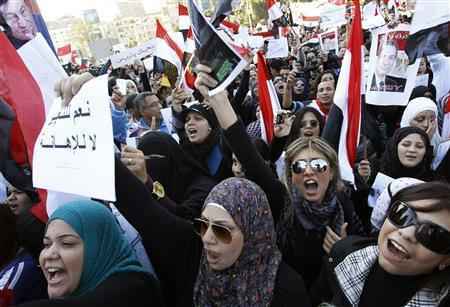 "Here in Tahrir, the Christian and Muslim stood side by side," said Qaradawi. "This cursed strife is no more."